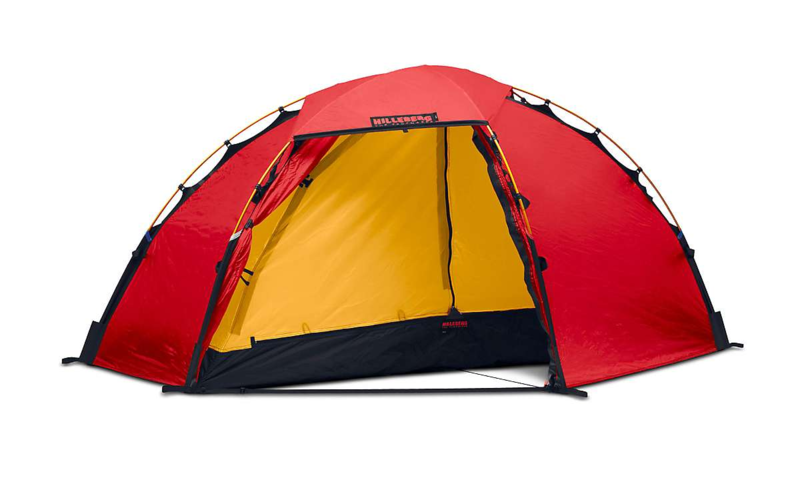 The 36.6-square-foot Hilleberg Nammatj 3GT is an exoskeleton tent. The poles slip in the outer tent, into the fly. The 36.6-square-foot Nammatj 3GT is an exoskeleton tent. The poles slip in the outer tent, into the fly. The fly and tent go up together. No matter how hard the rain or how wet the snow, the breathable inner tent stays dry, and it doesn’t get wet when you set it up in a storm, either. If you value storage space you will love the Hilleberg. The Nammatj 3 GT has a 30-square-foot floorless vestibule that nearly doubles its usable space—loads of room for storing your boots, parkas and pack. During short winter days or at high altitude when you spend a lot of time in your tent you will treasure this space. This tent, along with the Nemo Moki, was the most livable when we were pinned down by crappy weather, and is lightweight for its yacht-like space. All Hilleberg tents allow the option of putting two poles in each sleeve for extreme winds and weather, such as you can find on Denali or winter on Rainier. The mosquito-netting door on the vestibule can be unzipped and left at home. Setting up the Hilleberg is delightfully simple. Just slip in the poles, stretch out the tent and place two pegs at each end. For high winds, double-guy lines on each pole with Spectra lines allow bomber tightening. An integral guy-line tightener allows easy tightening even for knot-challenged climbers. The Nammatj is a true four-season tent. 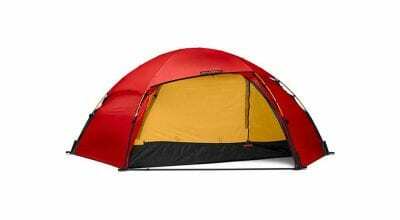 If you want just one tent for everything you do, from mountaineering to kayaking and climbing along the coast, to bicycling around the world or camping in rain with your dog, this is the tent. Pros: Versatile, easy to pitch, roomy vestibule, bomber. Cons: Large footprint requires a spacious campsite.